Ask the Readers: What’s the most expensive thing in your closet right now (and was it worth it)? For many years, shopping for the perfect outfit was my sport of choice. I had a near-perfect excuse. To compete for the best jobs working in the most prestigious law firms in Century City, Santa Monica, and Beverly Hills, I needed to dress almost as well as the attorneys did. It was expensive, but it didn't matter. Don't hate me, but when the saleswoman at Nordstrom showed me a beautiful St. John's suit, I fell in love. I don't remember how much I paid for my one and only St. John's back then, but it wasn't cheap. Today, one of these business suits will set you back $1,700 to $2,600 if it's not on sale. The thing is, it was definitely worth it — to me anyway — because I believed it would help me get better jobs. Plus, I thought that high-quality clothing would last years, which I considered valuable. Do I make the same decisions today? Though we both enjoy the hunt for the perfect outfit, my friend Megan's shopping experience is entirely different from mine. She has loved shopping in thrift stores for her clothing needs ever since she was in college. She's especially fond of vintage clothing — which can be pricey at times — but she sets a limit on how much she'll spend on each piece she buys. Whether it lasts a long time or not isn't as important to her because her overall investment is capped. But Megan admitted that when she bought a dress for her friend's wedding, she bought something new at a popular retail store. Men aren't immune to these situations either. The need to dress professionally still exists today in many fields and it can really put pressure on a person's budget, especially when starting a new career. Even if a man goes to work in jeans, he may also need to buy steel-toed shoes or other expensive protective gear for safety reasons. And you might agree that a man's business suit can cost just as much as a St. John's suit. What's behind “Do what works for you”? To me this is a good example of what J.D. 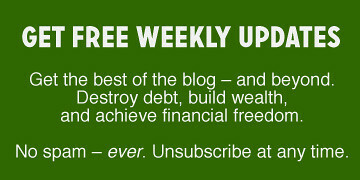 Roth was talking about when he said, “Do what works for you” in relation to your finances. The choices we make are based on our individual beliefs, values, and priorities — which is why we don't always make the same decision as the next person (or even the same decision we made before). So even though Megan believes buying her clothing from a thrift shop is good for her financially, and she values the look that she can achieve with vintage clothing, if she came in to work next week and learned that she would be interviewed on “The Tonight Show Starring Jimmy Fallon,” would her priorities suddenly change and cause her to purchase a St. John's Collection dress for the event? As for myself, I don't make the same decisions I used to because my priorities have changed too. In fact, I find that priorities can change quite rapidly, while my beliefs and values remain fairly constant over time. For example, I still believe that dressing nicely can improve your ability to get a good job or a promotion and I still value high-quality clothing. But these days, high-end clothing is only valuable insofar as it supports my current priority, which is my health. My husband and I ride our bicycles nearly every day now. So as fall drew closer last year, he started to shop for good rain gear believing that we could extend our riding season if we bought rain jackets. When he found a store that was selling the jacket for $70 less than every other store, it became a high priority to him and he bought two of them right away, saving us $140 on a purchase we think supports our health goals. It was just neat that it also supports our savings goals too. So Readers, what is the most expensive thing in your closet, and was it worth it? Do you have another example of “Do what works for you”? Because our kids are so hard on clothing, every time I evaluate my kids' closets, I'm glad we haven't spent lots of money to clothe them. Unfortunately, the items I did spend more money on were the items they lost, like the stocking hat I bought from L.L. Bean (stupid, stupid, Lisa!) that disappeared. Or they didn't like the clothes and wouldn't wear them. 1. Free. Free clothes are my first choice, for obvious reasons and there are a surprising number of places to find free kids' clothes. Finding free secondhand clothes for my kids, especially my daughter, has been easy. I have one friend with a daughter who is slightly older than my daughter. She is only too happy to pass her daughter's clothes on to us, for which we're really grateful. And I have other friends who periodically call and ask whether I need more clothes. I also volunteer at a place that provides free, donated clothing items to people in the community. In exchange for my time, they've allowed me to search through the bins to find jeans for my son. 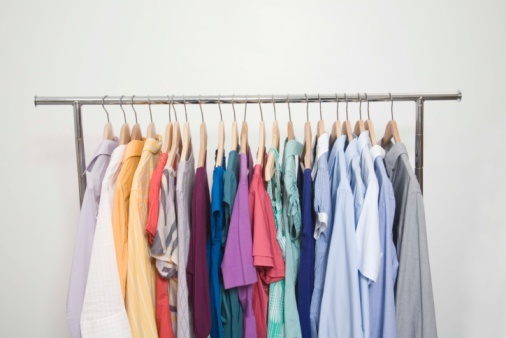 One thing about free clothes, I have had a much easier time finding clothes for my daughter and I think it's probably because boys' clothes — at least in the case of my kids — fare much worse. My son's clothes attract grass stains, holes, and stains like a magnet. A children's consignment store in another town does something else with their leftover clothing, which is amazing for my family. One of my friend's mothers has arrangements with this store to pick up the leftover clothing that didn't sell. She brings it home, washes it all, and organizes it by size and gender. Then, approximately two times per year, she calls up many local parents and invites them over to pick out some free clothes for their kids. Last time, I found snow boots for my daughter as well as other items of clothing. Although I have never gone, a nearby town also has a biannual clothing swap. In exchange for bringing in clothes you no longer need, you can “go shopping for clothes” other people have contributed. Some clothing swaps do charge a small amount, but some are free. 2. Almost free. If I can't find clothes for free, my next choice is to visit our local consignment shop's “leftover store.” This store is filled with things that either didn't sell in the consignment shop or they weren't good enough for consignment in the first place (maybe missing a tag or had a small stain or something). These items are 99 cents most days, although they have a fill-the-bag-for-99 cents event periodically. My latest bargain is that I found snow pants for each child for 99 cents. Places like Goodwill have access to salvage brokers that individual stores do not. It may be worth asking your local consignment or small thrift store what they do with the clothes they don't sell to see if they would be willing to donate them to you or a group. Going to yard sales would also be an inexpensive option. This is one of those things I think I should do, but I don't like to do — so I don't. However, as long as I knew that certain homes would have clothing that would fit my kids and I didn't have to go to too many houses, I could probably do that. 3. Not new, but not free either. I also have gone to thrift stores, like Goodwill and others. Is it just me, or does it seem like these stores are more expensive than they used to be? Consignment stores are expensive, in my opinion, for my kids who play rough in their clothes. I have purchased items of clothing there, but it's my second-to-last choice. 4. New. My last choice is to buy clothes new. 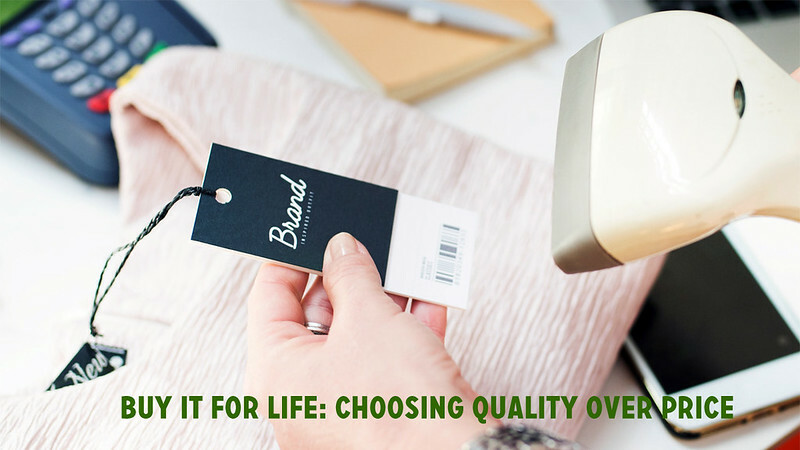 And when I do, I buy clothes as cheaply as possible, because it doesn't seem like quality clothing repels holes more than cheaper clothing…at least not for my kids. I am sure other parents do this, but to preserve their “good” clothing, my kids change into play clothes when they get home from school or a friend's house. One of the biggest adjustments (ah, but only one of the many adjustments – haha!) as new parents was how much laundry two kids could create. They used their shirts for napkins, ran outside in their socks, and prefer messy activities. To combat the mountains of laundry, they wear their good clothes again if they aren't dirty (which is almost never). They also wear their play clothes more than once, even if they're dirty. By this point, I no longer feel shocked by the piles of laundry, though I don't like it any more now than I did before. What are your tips to clothe your kids? 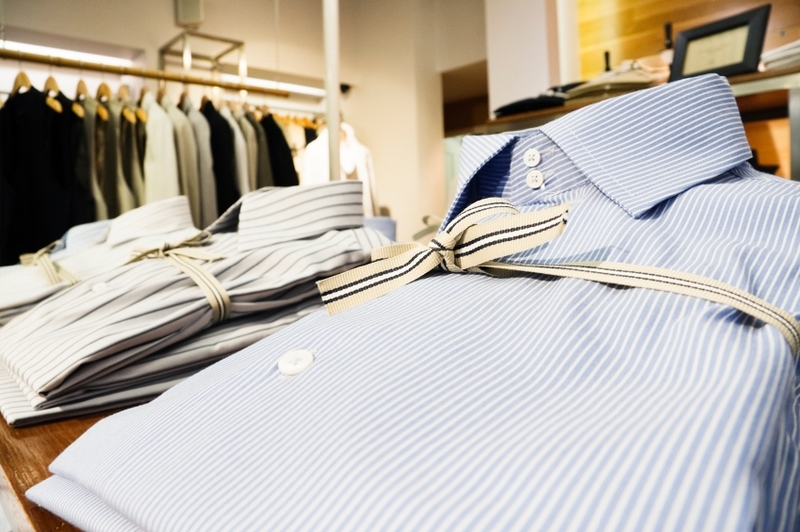 Ask the Readers: How do you manage your clothing expenses? How many clothes do your kids have? My 14-year-old son was out of town, so I sneaked into his room to catch him up on some laundry and weed out the too-small clothes. Even after the pruning and six loads of laundry, he had 55 T-shirts alone, plus jeans, dress pants, sweatshirts and a whole wardrobe of scout uniforms and accessories for every season and activity. No wonder his room looks like a bomb went off. Now I'm wondering if this is typical or if we're some kind of clothing hoarders? What is an acceptable amount of clothing for a teenage boy? While Adrian is asking specifically about her son, we'd like to hear what readers' thoughts are on teenage girls, working folks, etc. How many clothes do you need? How much clothing do you need? Those who work from home or who work in a casual office may have far fewer clothes than those who work in a corporate office. A couple of pairs of jeans and khakis, five or six shirts and T-shirts for men should suffice if the guy works in a casual office. Women can get by with black pants, a black skirt, some tops and sweaters. If you're in an office where you're meeting with clients, or if you have a job dealing with the public, your wardrobe can grow out of necessity. You'll most likely have a Monday-through-Friday wardrobe of suits, dresses, special shoes — most of which you will never wear on nights or weekends. So you need a weekend wardrobe too. If you live in a four-season climate, you'll have a variety of coats, sweaters, boots and so on to face the worst of winter. Those of us who live in an area where the weather is fairly mild all year can get by with many fewer clothes. The wildcard that can send a wardrobe into overdrive is fashion. If you must have a few pieces that have been featured in the pages of InStyle or GQ, you're going to be adding clothes to your wardrobe regularly. And just like that, they're obsolete, as far as fashion is concerned! So, Readers, how do you plan your wardrobe — or your children's — for value, style and maximum use? Do you have an annual budget? Do you buy your teenagers one new back-to-school outfit each fall? Have you had to curb the fashion impulse in your teenagers? What do you do with clothes that are no longer useful, whether they've been outgrown or gone out of style? 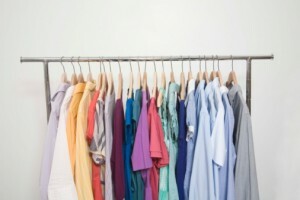 Do you use eBay, consignment shops or thrift stores to move your old wardrobe or add “new” pieces? Let us hear how you manage your clothes budget. This is a guest post from Lucy Lazarony, a freelance writer based in Florida. You know that wardrobe staple that every woman is supposed to have? The little black dress? Well, I've finally got mine! And I found mine on the sales rack at Target. The price $7.58! The regular retail price was $29. The dress from Target's own Merona brand is washable so there is no expensive dry cleaning needed. And I live in South Florida — we sweat here, especially in the summer. So whatever I wear has to be washable, breathable and affordable. My little black dress from Target fits the bill. So far, I've worn that little black dress to a dinner party, a fundraiser for the local jazz and swing society, a mixer at the local Chamber of Commerce and two job interviews. I've paired the dress with low heels, left over from my pre-freelancing days (as a freelancer, I like to write barefoot), and a tiny black canvas bag that I bought for 99 cents at a local Japanese museum and gardens. And the total cost of my go-anywhere black dress and mini-purse is $8.48. That's some bargain! I must confess that after years of practicing yoga, my body won't let me stand or walk in heels for more than a few minutes. I can make a lovely entrance into the room and then all I'm thinking is “When can I sit down?” So I decided to buy some flat sandals. Be your height, ladies. Your hips, toes, feet and lower back will thank you. For flat sandals, I looked at Target — of course I did — but I ended up getting a pair of sandals by Mark Fisher at Macy's for $25. The sandals were half-off. And while the computer said there were none in my size, a nice salesman checked in back anyway, and voila I've got the perfect sandals to go with my dress. So I realize that my spectacular bargain of an outfit just went up to $35.48. But it's still an incredible deal. And it was a surprise, too. I was in Target to score some deals in the food section. Finding my little black dress was a bonus. And it wasn't my only fashion bonus that day. I bought another washable, breathable, sleeveless, perfect summer dress, also from Target's Merona brand. And this one is teeming with color. The official title of the painting is “Artist's Garden at Giverny, 1900,” by Claude Monet. A print of this same painting hung in my room at college for four years. I remember buying it at an outdoor poster sale at the student union the first week of classes. And seeing that very painting in Paris, on the top floor of a glass-roofed museum with the afternoon sun shining upon it, was a dazzling and thrilling moment for me. I'm 22! I'm in Paris! Who cares if I can only afford to eat at McDonald's! I'm here. Life is good. Anything is possible! My I-feel-like-I'm-wearing-a-Monet dress from Target is covered in beautiful dabbles of cream, soft pink, pale lavender and just a hint of dark brown. It also has a fun ruffle along the collar. The price of all this loveliness is just $9. This exuberant little dress is my go-to dress for art openings and events around Delray Beach, Fla. On a single day I wore it to a job interview with an arts editor at a coffeehouse in the morning and to half a dozen artist studios and galleries in the evening. Later that night, I interviewed a young singer/songwriter following his performance at The Beat Cup Cafe, where performances are appreciated by snaps rather than applause. By the end of the day, I felt filled to the brim with great conversations, music and art. And all it cost me was a couple of cups of tea and another gem of a dress from Target. Because summer never really ends in Florida I will be wearing this dress and my little black dress throughout the year. They're great bargains, but more than anything I feel great when I put them on! The combination of loving an outfit and not paying close to full price has been instilled in me since I was a child. When shopping with my mom we always headed straight back to the clearance racks of any department store. And how low a price you paid was almost as important as how much you loved a top or skirt or pair of shoes. Plus, it was fun to look and try on clothes even if we came back empty-handed. I know there are all kinds of ways to shop and save while shopping online but it's just not for me. The fun of shopping is the going and the trying on. It's the creative rush of looking at all the different styles of clothes and all the different colors and choosing one, two or three or four to wear, even if it's only for a few minutes in a dressing room. One balmy night this summer, I bought a pink-and-black T-shirt with an enormous print of a flower on it for $7 from a small shop near the beach that was stuffed full of touristy treasures. I was out for a walk and the fun, colorful T-shirts in the window pulled me in. The merchant was happy to see me and I was happy to make the purchase with some cash I had with me at the time. You might think that I'm a fashionista or I have the makings of a shopaholic but I'm neither. I read Walden at 20. When it comes to material goods, I keep things simple. I donate clothes that no longer fit or fit my life. And right now, my entire wardrobe will fit in a single piece of carry-on luggage. My friend Diane calls my new wardrobe “joyful.” And it is. Even my little black dress has splashes of orange and red flowers on it. Joy, beauty, happiness — each is where you find it.